Working online as a vintage clothing dealer usually means a lot of isolation within our little sphere. Inside the office it's a beehive of activity (and we enjoy the dickens out of each other)! But we're cut off from the outside world for the most part, with only the phone and a Wifi connection as the conduit to our customers. It's a treat to work in this cozy comfort zone most of the time, but once in a while a Vixen needs fresh air. And - because we're into vintage clothes - we also "need" musty basements. We recently got a chance for both when the phone rang. "Yes, do you buy clothing?" "We do. What do you have?" And the conversation begins. Usually it's a few pieces or a few boxes' worth, and they're shipped here. For local people we go on appointments. But then there are the trips. This weekend begins a fun-filled trip to Philadelphia and points north, where we'll revel in the fashions kept by a family inhabiting the same house for 103 years. Fun? You betcha. Fresh air? Well, some. 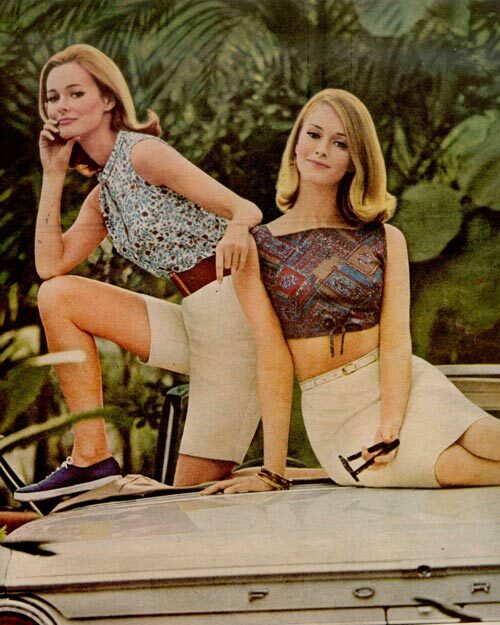 Source: McCall's Magazine, May 1964.